The financial results of Philippine Airlines (PAL) for 2017 was marked by a robust increase in revenues – a 7% hike from 2016 – due to a significant increase in the number of passengers and volume of cargo carried after the airline expanded its fleet and route network. For calendar year 2017, a total of 14.5 million passengers (or an average of 39,634 passengers a day) flew on board 51,681 round-trip PAL flights, operated by a fleet of 86 airplanes whose bellies carried a total of 236.1 million tons of cargo. Annual average passenger load factor was pegged at 71.39%. The flag carrier continues to maintain a strong market share in its international routes despite intense competition with legacy carriers and a growing number of low-cost carriers in the Asia Pacific region. For 2017, net passenger revenues stood at $2.17 billion compared to $2.02 billion in 2016, while net cargo revenues reached $166.5 million. This brought total revenues to $2.6 billion against $2.4 billion the previous year. Under the direction of Chairman Dr. Lucio C. Tan, PAL management provided the needed support to achieve a 4-Star quality service rating that is considered crucial to enhance and sustain the airline’s competitiveness in a highly contested aviation market. The refleeting and route expansion programs, as well as a series of service and product innovations, required substantial investment. In addition to the pronounced increase in fuel costs, these investments had an impact on the bottom line. “We poured in the required investment to transform the company. The temporary financial setback is worth the price of becoming a stronger and more competitive airline, and being recognized as a 4-Star airline is a vital component of this development,” said PAL President Dr. Jaime J. Bautista. From the modest $86 million profit in 2016, the company sustained a comprehensive net loss of $129 million last year. In 2015, PAL posted a profit of $151 million. While revenues increased, expenses rose sharply owing to higher fuel costs and the cost of acquiring and maintaining additional aircraft. Total expenses jumped from $2.27 billion to $ 2.68 billion last year. The volatility of fuel prices in the world market caused PAL’s fuel expense to spiral by more than $200 million – from $549 million in 2016 to $749 million. Other notable expense items that also spiked include aircraft repairs and maintenance, aircraft lease rentals, ground handling charges, landing and take-off fees, passenger food and others. In 2017, the route network consisted of 42 international and 35 domestic points. 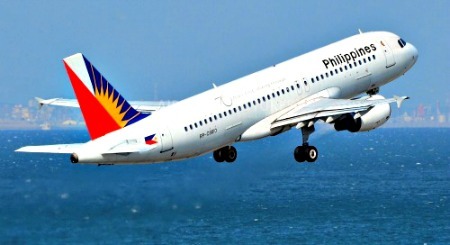 PAL opened a hub in Clark while expanding operations at Cebu and Davao. The continuous enhancement of products and services, creativity in fare structuring and market promotions, and an excellent safety record enabled PAL to hold its place in the market. In the long-haul markets, PAL has the unique advantage of providing the only nonstop services from the Philippines to the US mainland, Hawaii, Canada and the U.K. Nonstop service to Auckland, New Zealand was also introduced in 2017. PAL also started operating non-stop flights to Toronto, Doha, Kuwait and Jeddah (with Brisbane also going nonstop in March 2018). The flag carrier continues to look for ways to enhance the customer experience through multiple product and service innovations, on-board and on the ground.